When it comes time to figure out exactly where to go for life-changing experiences, or just a whole lot of RV road trip fun, there are at least three festivals in America that are must-see events. These range from raging city-wide parties to networking events that can jumpstart careers, companies and worldwide innovation. Luckily, RV parks for festivals also abound, so you can adventure in comfort as you head out on the mind-blowing trip of a lifetime. Perhaps one of the best-known parties in the world, Mardi Gras in New Orleans, Louisiana, brings travelers from around the world in an American Carnival celebration. 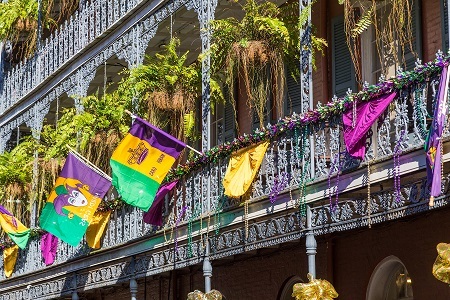 Whether or not you plan to fast for Lent following Mardi Gras events, it’s well worth the road trip out to see the parades and partake of foods and local cuisines highlighted during the festival. Some of these are only available during Mardi Gras. The nightlife scene is full Carnival, bringing the joie de vivre celebrated in Rio and other parts of the world into the heart of America. RV parks are in abundance for festivals taking place during Mardi Gras, which in New Orleans goes each year from Twelfth Night to Ash Wednesday, and often found just outside the main city proper. There’s plenty of spaces for both RVs, and hookups for water and sewage are available. The distance means roadtrippers may want to catch a bus or cab into town, especially if they plan on late-night revelry. Money for buying event-specific items, such as king cakes and beads. Cameras. Videos of the floats and parades are one of life’s lasting treasures. Your ID is essential if you plan to drink and party with other revelers. Kid-friendly entertainment. You’ll need plenty to keep young children occupied at night. The after-hours public parties are best suited to mature adults. 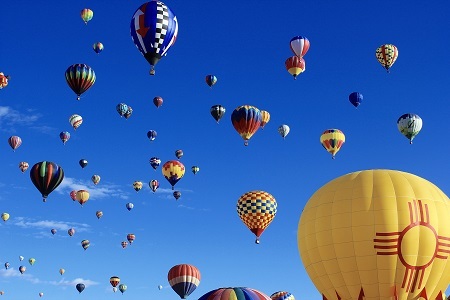 The Albuquerque International Balloon Fiesta hosts the largest hot-air balloon gathering in the world each year, bringing fans from far-flung nations to the city in New Mexico. The fiesta begins with the Dawn Patrol launching prior to sunrise to test the skies ahead and sees hundreds of hot-air balloons mass-launched throughout the day. The fiesta doesn’t die down at sunset, either, with night-glow balloons sharing the skies with the stars. Adventurers in vacation RVs with large windows and sunroofs can really make the most of this event as they can enjoy a temperature-controlled environment to watch all the festivities. RV parking is plentiful near the venue, and facilities are designed to make the most of the RV experience. Pay close attention to park rules, as specific regulations on generator use and hours are common. Plenty to drink. Hydration is crucial during the event due to potentially high temperatures. A light jacket. While temps can get high in the afternoon, mornings are always cool. A hands-free flashlight. The night events are fun, but you’ll need this if you plan to head out as the venue is dark in many areas to allow easy view of glowing balloons. A national flag. The Flight of the Nations event demands plenty of flag waving. It seems like all the entertainment industries turn out for the South by Southwest Conference and Festival, commonly known as SXSW. 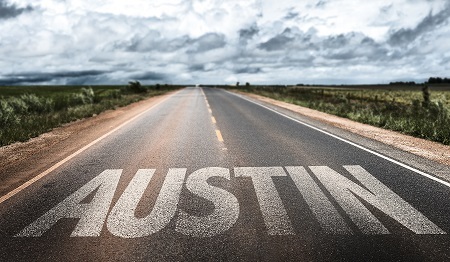 The event, held each year in and around Austin, Texas, is actually four separate festivals and an all-spanning conference combined into one big event that lasts up to two weeks. The conference hosts keynote speakers from around the entertainment world. SXSW Music showcases talent from across the nation, and SXSW Film is where indies showcase their work and visitors can see hot new movie trailers or get the scoop on film announcements. SXSW Interactive is all about innovation and an excellent networking opportunity for developers. SXSW Comedy does what the other festivals do for the world of stand up, podcasts and satire. SXSW delivers on its promise of something for everyone. Sunglasses. Look cool and protect your eyes at outdoor venues. A light jacket and umbrella. Austin weather can be weird. Be prepared. Sensible footwear. You’ll do a lot of walking if you attend even one of the four festivals. Your autograph book. No matter your entertainment passions, opportunities abound. These events offer RV road trip enthusiasts a real chance to cross off many of the experiences likely to be on their bucket lists. Catching just one of the three is enough for years of stories to share with friends and families, and all offer the opportunity for once-in-a-lifetime bonding and everlasting memories.